“It’s just a scratch.” The words your father said to you after you toppled off of your bike for the first time. The words you said to that girl you liked with blood pumping out your arm after trying so hard to impress her…and failing. The words your friend said to you when he opened the door of your first car right into the car next to you. The same words you spoke to your child, as had your father, when they toppled off their bike for the first time. And somewhere, for someone, it’s the same words being delivered as a last tender lie to the person they care about. 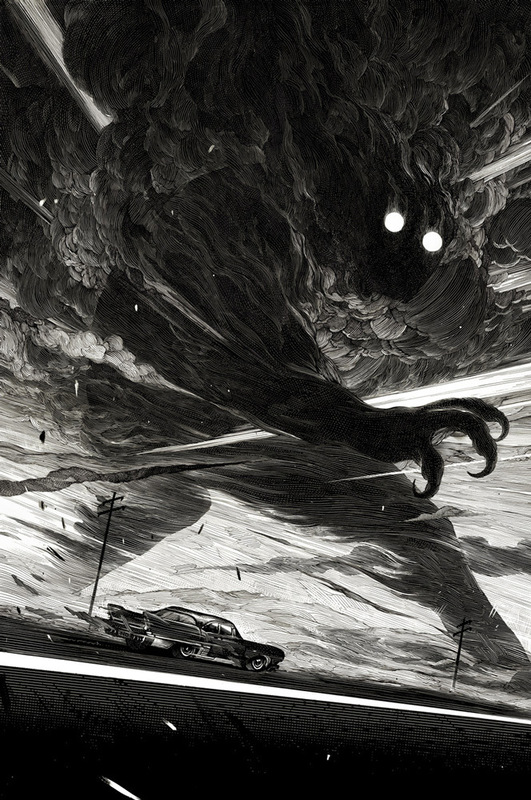 “It’s just a scratch?” I’ve wondered many a time as I’ve analyzed the artwork of Nicolas Delort. Though formed as a question, it held every bit of emotion as it has in other parts of my life. Sometimes alone, sometimes all of them at once, but there nonetheless. Using scratchboard as a medium, specifically clayboard, each piece is literally just scratches along an ink-covered surface, exposing the lighter values beneath. 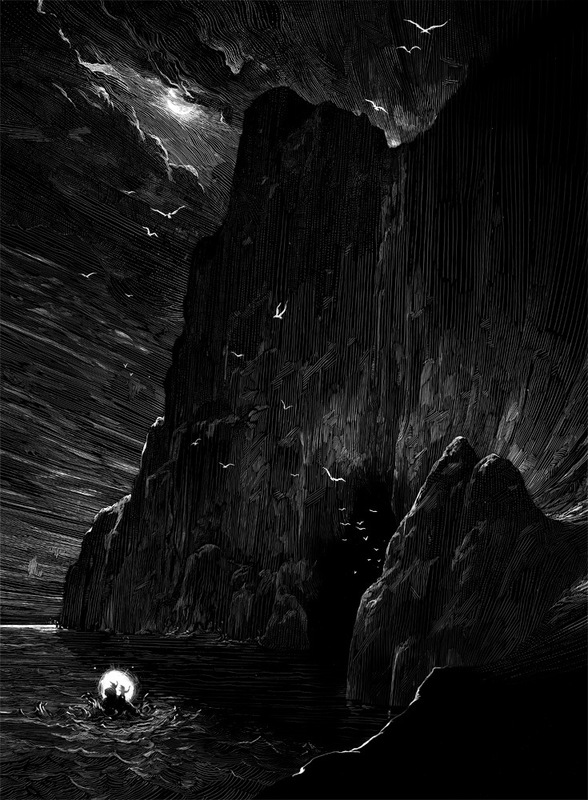 Nicholas Delort has been one of my most tender artist crushes of all time. Discovering his work several years back, I gawked at the delicacy and the deliberateness of each mark, working so perfectly with the ones next to it to create such dramatic and moving pieces of art. I honestly cannot tell you how many hours I’ve spent mulling over his lines, traipsing along on an incredible adventure in some and moved to the moment of grief and empathy for human loss in others. Nicolas connects people like few others can. Perhaps it’s because of his incredible compositions and his dramatic Caravaggio-esque lighting. Or, perhaps it’s something deeper. One event endured in mortality may quite be “just a scratch.” But a series of scratches all together…now that is a moment, a story, and a life. I urge you all to connect with him as I have through one of his sites below.